The LH 60 Litronic material handler is a prize-winner in the 2014 competition for the “iF award” in the category “product design”. The new excavator LH 60 Litronic is a special purpose machine designed for material handling and available either with crawler or mobile undercarriage. Convex rear panels, the boldly shaped fuel tank and the play with big radii accentuate its vital appearance. The cubic shape is broken up by characteristic formal features such as the chamfered swage line at the rear, the trapezoidal ventilation apertures and the twin oval lighting cutouts emphasizing the unmistakable appearance. 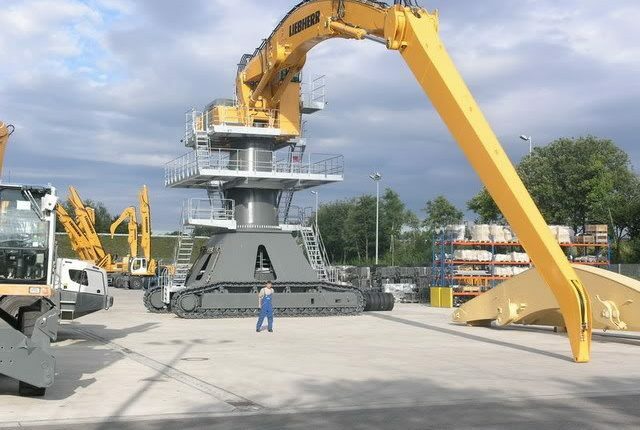 The deliberately sober restrained design connects with the high-end manufacturing tradition of Liebherr. The iF design awards are among the most important design awards in the world. This is confirmed by an annual number of more than 20,000 competition entries from more than 50 countries.